Have you ever wanted to visit Bulgaria? 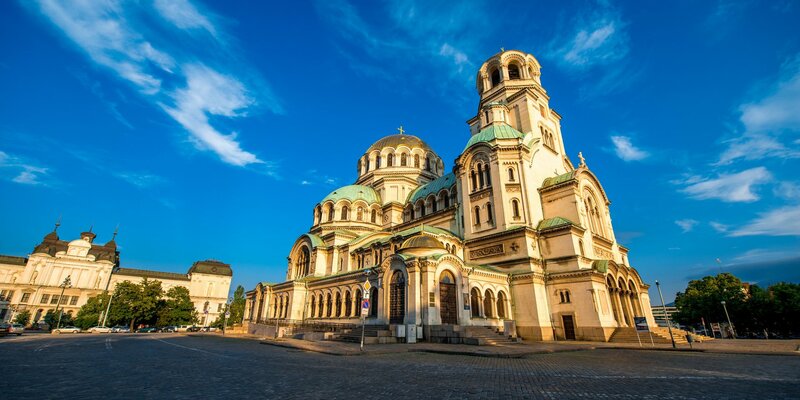 One of Europe’s oldest, Sofia’s history stretches over several millennia. You will find yourself travelling through time as you roam the cobblestone streets, pass charming boutiques, and visit historical landmarks. Its past still lingers in the form of the Alexander Nevsky cathedral, the Russian church, St. George’s rotunda, and the Largo complex, but the current finds itself breaking through like in street art pieces all over the city. You can escape the town and go hiking in Vitosha National Park to discover a waterfall and a lake and chase the sunset.